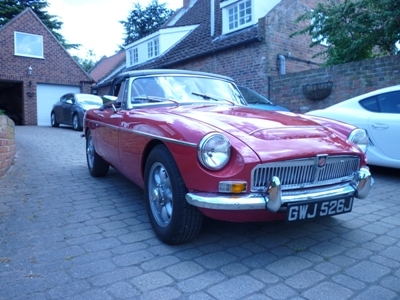 Advertise your own MG for sale on our website free of charge.........contact Dave on 01777 818283 or 07930 483697 for further details. 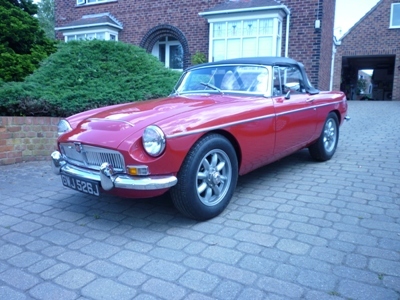 Selling on behalf of a customer this superb MGC Roadster was originally rebuilt in the late 1980s. 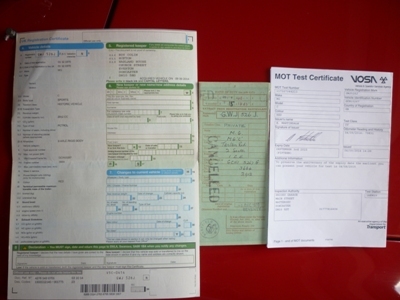 Has subsequently been re-commissioned by ourselves with many well sorted performance upgrades. 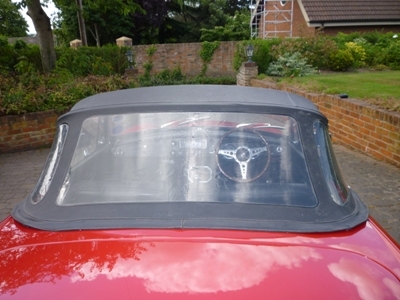 Body is superb having recently had a full respray to freshen it up. 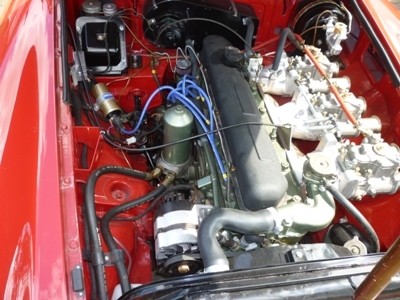 The engine bay was also painted at the same time. 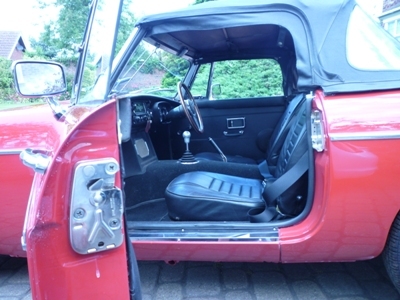 Interior is immaculate with new carpets and trim and rebuilt seats with new leather covers. 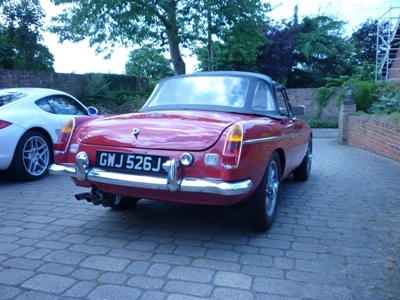 The engine has been upgraded with plus .060" rebore and new pistons, balanced crank with lightened flywheel, Peter Burgess fast road unleaded cylinder head, MG Motorsport cam and electronic distributor, six branch exhaust manifold coupled to Downton twin pipe exhaust system. 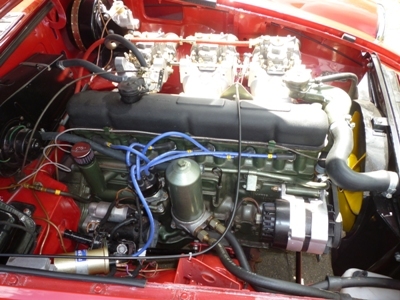 The car is fuelled by triple Weber 45 carbs which have just been rolling road tuned and the engine runs very sweetly and produces around 200BHP at the wheels. 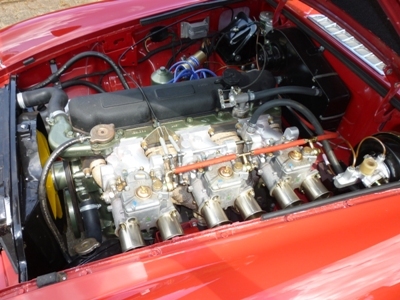 Gearbox and overdrive have covered less than 500 miles since rebuild. 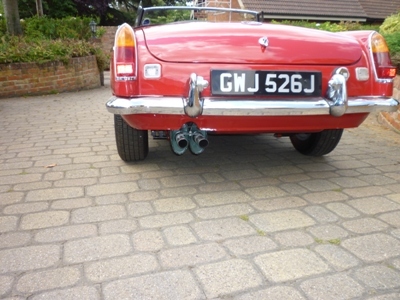 Car is fitted with all new brake lines, new servo, new discs and drums and a stainless steel fuel tank. 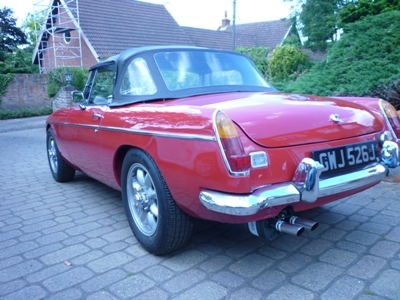 If you are looking for a proper MGC roadster, this is the one for you. 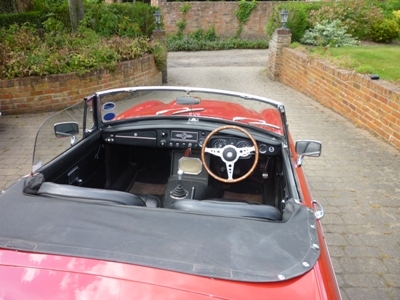 Drives superbly and comes with modern V5 and original green logbook.